myHBMcenter offers a broad and versatile range of accreditations, education and training for coaches, HR professionals and managers. All accreditations and courses offer personal experience in addition to knowledge and skills. They centre on the unique human being with their conscious and unconscious direction. We coach you and/or the organisation to learn and live on the basis of your nature. We attach great value to Life Long Learning. Did you know that we are also NLP specialists? This unique combination of HBM and NLP makes the difference for our customers. We have divided our offering in modules and blocks of varying scope and depth. We know like no other that people have different needs and desires. We will be pleased to help you choose an accreditation that suits you and advise you on our educational curriculum offering. Would you like to experience this personally? 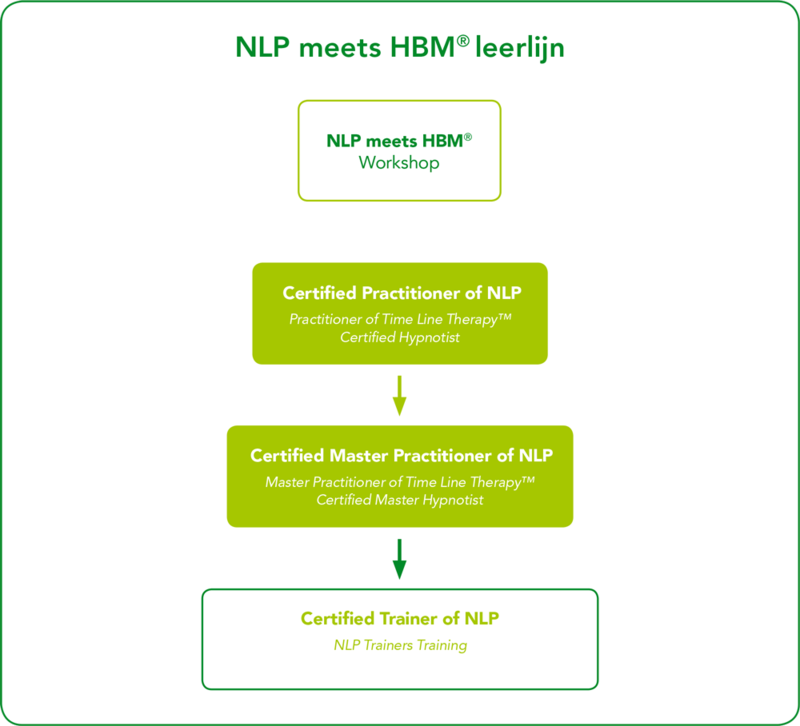 During the HBM & ACT® introduction, you can experience how you can apply the ACT® based on the HBM philosophy. Using your own profile and the personal feedback interview, you will discover the strength of this tool. During this introduction, you will receive more information on myHBMcenter as an organisation and learn all about the accreditations and business aspects of working with ACT®. Register using the contact form. 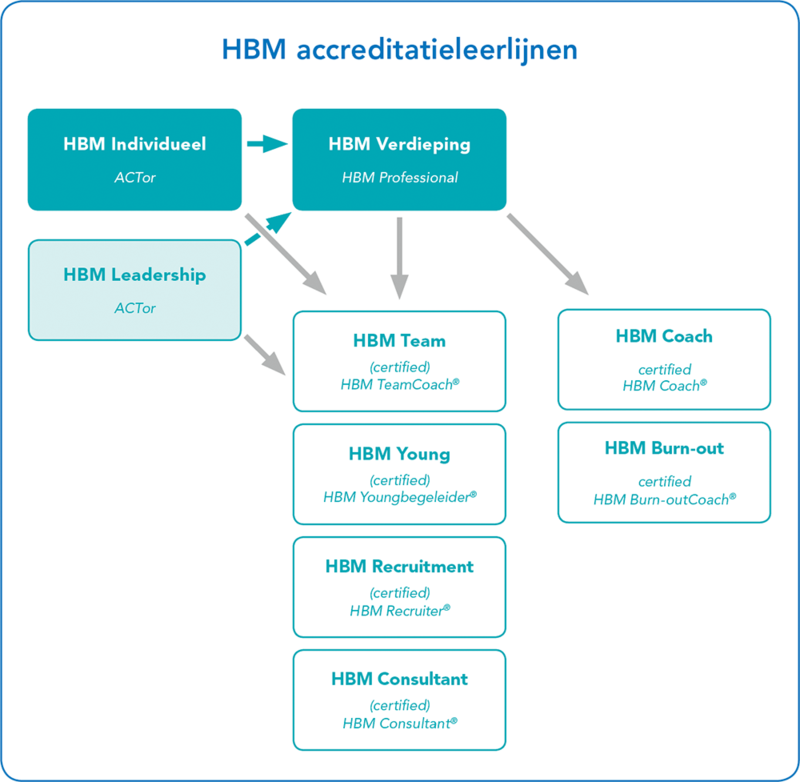 Als je een leerlijn na HBM Individueel hebt gevolgd ben je een kwalitatief goede HBM Professional op een expertise-gebied, zoals Team, Young, Recruitment. Wil je bij ons het predicaat ‘certified’ dragen, dan is het volgen van de accreditatie HBM Verdieping verplicht. Je kunt daarmee de verdiepte ACT-kennis toepassen in jouw expertise. Dat maakt je een certified HBM Professional. Ook voor de leerlijn HBM Coach of HBM Burn-out is kennis van HBM Verdieping noodzakelijk.